I have found that consistent, ongoing spiritual support through life coaching, energy work and connecting with others on a spiritual path can make all the difference between hopelessness and empowerment. Unfortunately, lack of resources often stands in the way of receiving this support. Part of my work has been to not only teach about spiritual laws, but also to live by them. On this journey, I have been shown again and again that we are co-creating our experiences with the Creator and when you line up with your heart, resources come in to support you. I am being called to once again take a leap of faith, and trust this spiritual law, so that I can provide and receive this much-needed support. I invite you to take a leap of faith with me by joining the network with the intention of creating a new system where all thrive with abundance in all areas of our lives. For several years now, one of my favorite affirmations has been, “I am a magical child, living in a magical Universe where everything works out for me.” The idea behind it was to connect with my inner child in a way that is joyful and fun. It has worked beautifully! When I set that intention, I find myself having very magical, fun experiences and everything does work out because when we access the joyful child within, we are able to manifest miracles in our lives. Wishing you a wonderful Holiday Season and Winter Solstice! As chaos seems to rain down on our world, it is easy to get caught in fear. More than ever, we need to be warriors of light and refuse to relinquish our right to create a loving and peaceful world. So how do we do this? We can only do it by working from the inside out. When you are confronted by something in your outer world that frightens you or angers you, a good policy is to check within. One of the techniques shared during my shamanic training was to ask “Is this upsetting me greater than a 2 on a 1 to 10 scale (10 is the highest)?” If the answer is “yes,” then you are dealing with something that is really about you. Of course, you may ask yourself how does this work with world disasters such as hurricanes, floods, and mass shootings? How can those be about me? There are many ways we can look at this, but for the purpose of this post, I am most interested in how we can work with these experiences to empower ourselves and thus empower others. To do this, I feel that all these outer world experiences are things that we have chosen at a soul level to be part of the movie we are currently starring in. If we included these types of things in our story, the question becomes why? What do these events kick up for you? Do they make you feel angry or sad or victimized? Do you feel powerless or motivated to help others? How we view these events and how we react to them says a lot about what we are trying to learn within ourselves. For instance, many of us can easily fall into the victim icon right now. There is a feeling of futility when we look at what is happening in the outer world and a sense of hopelessness can creep in. It is in those moments when we have an opportunity to step out of victim and into a place of power. We can affirm what we wish to see and experience in our world. We can invoke our Angels and Spirit Guides, asking them to show us what we need to learn and to help create our intentions in our world. We can shift to gratitude and focus on where love is ruling instead of fear. All of this takes discipline and sometimes it is difficult to have that discipline. But what other option do we have? Continuing to collapse into victimization creates more fear. We are here now in this incarnation having this experience. We can learn what this is teaching. We can stop being passive and allowing the world to happen to us and start consciously creating what we want to experience instead. One of my favorite things to do is to ask for a daily vision for myself. It is a way to get a quick message to refer to throughout the day. My book, Mother Earth Musings, offers a way to get such a daily message, and through 7/31, I’m offering a way to get one specific to you! Love Exchange: $15 ($20 for those who would like to give a $5 love offering to the Scholarship Fund and also receive the Grand Teton meditation recording). How to Register: Use the PayPal link below (you will have an option of using a credit card or checking account if you don’t have a PayPal account) and I will get the reading to you within a day or two! We are in transformational times – standing on the bridge between who we have been and who we are becoming. We live in a time of expansion, where our consciousness is growing, our vibration is rising, and we are discovering just how magical life can truly be. As we stand on the cusp of this birthing, we are called to discover our deep feminine wisdom. To find again the part of us that knows instinctively who we are and why we are here. It is time to reconnect with the spiritual beings that are gathered to support us as we birth a new world into being. I am in this process too and I wanted to gather some spiritual friends and my dear friend and mentor, Dr. Jaap Van Etten, to explore this unfolding of our wholeness and the coming home to our full potential. I have worked with Jaap for many years and every experience has been deeply transformational. He is a deeply wise, compassionate man who has powerful intuitive and healing gifts. I knew he would be the perfect person to lead the retreat experience I had in mind. And now the retreat is happening! I have gathered some wonderful spiritual friends and we are heading to a beautiful cabin near the Great Smokey Mountains. I have three spots left! Participants would be sharing a room that has two twins (bunk bed) and a queen bed. The bottom bunk is already claimed, so there is an option of the top bunk and two women can share the Queen bed (or we can put an air bed in the game room for one of the participants). If you are interested, read on for full details! The goal of the retreat is to support each other in the process of raising our vibration to fulfill our purpose of being on this planet in this time frame. We each have a unique function and vibration to contribute to the whole. However, due to our journey in a world that has not been supportive in allowing us to find our uniqueness, we need people with which can share, transform and grow in a loving and joyful way. During this retreat, we are with such people!! Also, we are fortunate that we can do this sharing and transformation in the beautiful environment of the Smokey Mountains!! 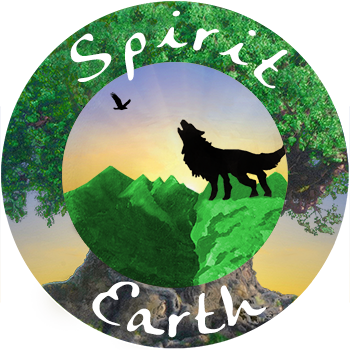 Using the gifts of Mother Earth, earth energies and the many visible and invisible beings with whom we share this world will be an important aspect of this retreat. Therefore, we will give the retreat form in nature as much as feels in alignment with the developments. We also will make sure that we will include time to process our experiences as part of the retreat to have the most optimal benefits. In the evening we will have certain subjects to focus on, based on the “wish list” of the participants, and based on the overall goal of the retreat. Based on what has been shared, it may become clear why we do not offer a fixed day-to-day program. We are all invited to share where we are on our journey, and what we need to continue this journey as optimally as possible. In that way, we will create our program. That will make this retreat dynamic, exciting and truly an adventure! Love Exchange: $500/person (includes all teachings with Jaap and lodging). Meals are not included (we will take turns doing dinners for the group and get our own breakfast/lunch items). You can also experience a private session with Jaap at the retreat for an additional fee ($45/30 minutes or $80/hour). I hope you are all having a great start to 2017! This is a “one” year in numerology which means we are at the beginning of a new nine-year cycle. This is prompting lots of shifts and changes, both personally and collectively. With change comes opportunities, but it can also be challenging. The purpose of offering spiritual mentoring programs this year is to provide ongoing nurturing and support as we move to collectively create a new paradigm – one where we let love guide our course instead of our fears. Small Group Mentoring – The purpose of the small group experience is to offer more direct mentoring and the opportunity to develop friendships with others on a similar path. The groups are kept small (no more than 4 participants), allowing time for each person to receive specific guidance and support. The group will meet monthly by phone for 60-90 minutes for three months. Basic membership includes one private 20 minute support call during the three-month experience. Participants also have the option of adding monthly private one-on-one mentoring session at a discounted rate as part of the mentoring experience. Small groups can be made up of a group of friends or formed randomly. Love Exchange: $35/month (monthly call only with 20 minute support call during the three-month period); $60/month (adding a 30 minute private mentoring session); $100/month (adding a 60 minute private mentoring session). A three-month commitment is required. One-on-One Mentoring – This opportunity provides ongoing support when you are ready to make big shifts. Often, when you are going through a big transition or ready to move into a new consciousness, you need a more ongoing level of support. For this type of mentoring, I’m available to support you if something comes up between the scheduled calls. Participants will work with me weekly or bi-weekly and have the option of as needed support throughout the month of mentoring. There are two ways to participate. I have spent the last seventeen years gathering wisdom, tools, and honing my intuitive abilities through my own personal journey as well as through working with clients. I have lots of experience in empowering others to nurture themselves and grow their own gifts. I am also passionate about supporting our collective transition from a fear-based way of living to one where we let joy lead! I am on my way to Florida so will be throwing in a little Florida sunshine into this month’s New Moon Readings! This Tuesday (11/29) is the New Moon in Sagittarius. Instead of doing the usual group reading, I am going to do individual recorded readings this week. I was guided to create a recording sharing one of my favorite energy cleansing and balancing meditations working with the Archangels. This is approximately 15 minutes long and will clear the emotional, physical, mental and spiritual bodies to restore balance to the whole system. I hope you find it helpful! Sending love and hugs to all! I thought it would be fun to do a wisdom circle for the New Moon this month as it is right by Halloween. The new moon is in Scorpio which brings lots of energy to the opportunity of creating new beginnings and deep transformation. The wisdom circle will offer intuitive guidance for the New Moon and connect you with a spirit guide, angel, nature spirit, or tree spirit who comes forward to support you with manifesting your New Moon wishes. All messages will have gifts for everyone listening! How to Register: Email Nancy@EmpoweringLightworkers.com to sign up. I’ll send you a PayPal link to complete your registration.